Society has always, to some extent, realized its older members were special, for their institutional memory, for the wisdom acquired over the years and for many other traits. That older Americans have special legal needs has been recognized relatively recently. “Much has been written of late about the aging of America, and indeed of the world as we are all living longer,” according to an article on the website of Stetson University by Rebecca C. Morgan. 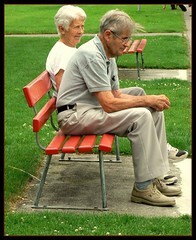 “Laws have been created specifically to deal with the legal problems faced by older Americans. There is a label for this area of law–elder law. Elder law has grown from a specialty practice to a general area of practice within which an attorney may specialize. Once the specialty became recognized, Morgan says, it became attractive to not only potential clients but also to lawyers.